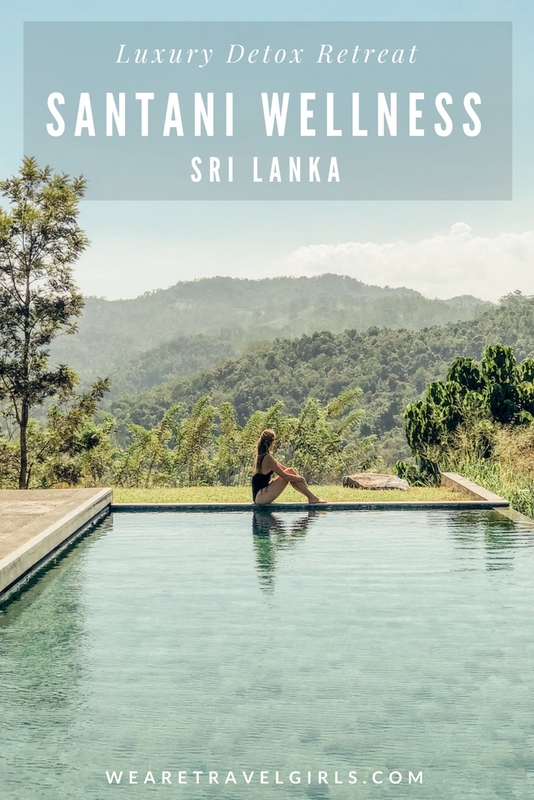 Sri Lanka is a top travel destination for 2018, and I just spent two amazing weeks exploring for possible Travel Girls Getaways locations there. 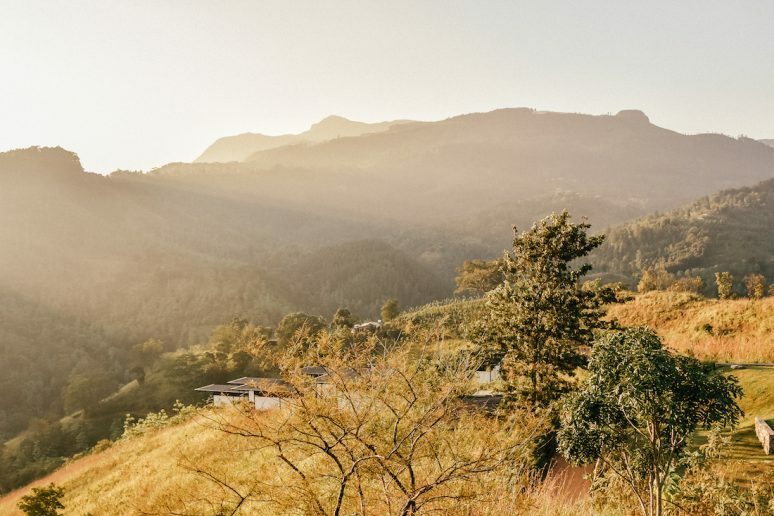 I knew I wanted to see the hill country of Kandy, with its rolling tea plantations, relaxing environment, and what has been called the world’s most beautiful train ride (spoiler alert: it is!). 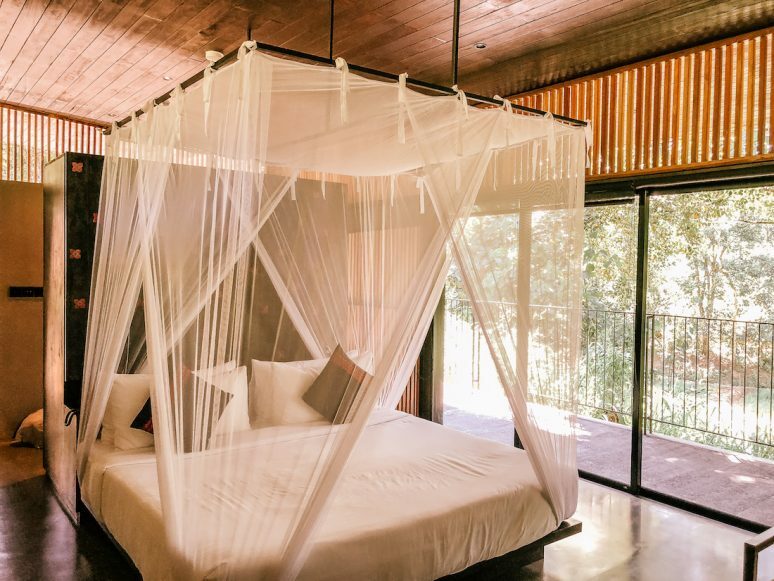 To fully embrace the calm nature of the area, I stayed at a very unique place the Santani Wellness Resort, which was named one of Conde Nast’s Best New Hotels for 2017. Like most people these days, I am often glued to my smartphone and laptop. 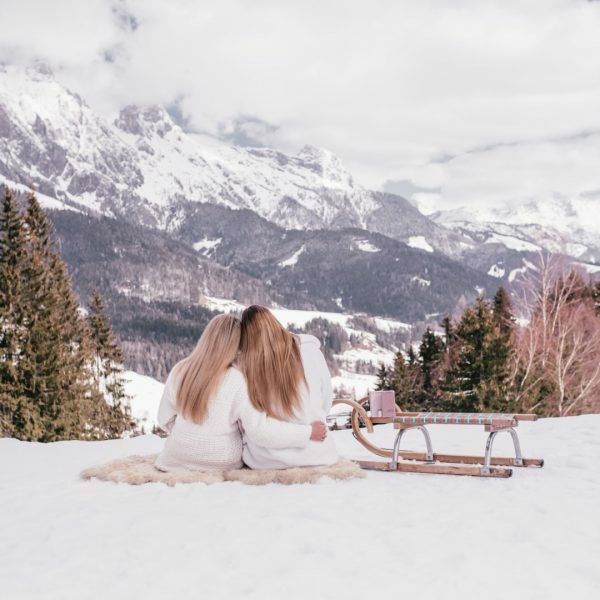 Between We Are Travel Girls, my personal Becky van Dijk blog, and our newly launched Travel Girls Getaways websites, and all their respective Instagram and Facebook accounts, there often isn’t enough time in the day. However, I’ve always been a nature lover and often find myself wishing to take a break from the screen for a little while. 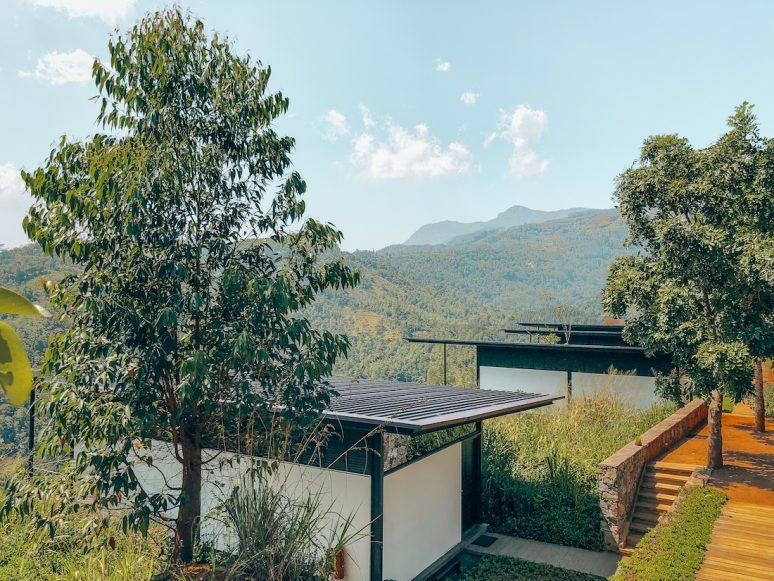 The Santani provides a luxury resort in Kandy where guests are encouraged to put down their devices and reconnect with nature and themselves. The entire resort was designed with this goal in mind. While there is wifi in the rooms, there is no wifi in public areas and guests are encouraged to leave their phones behind in favor of other activities. 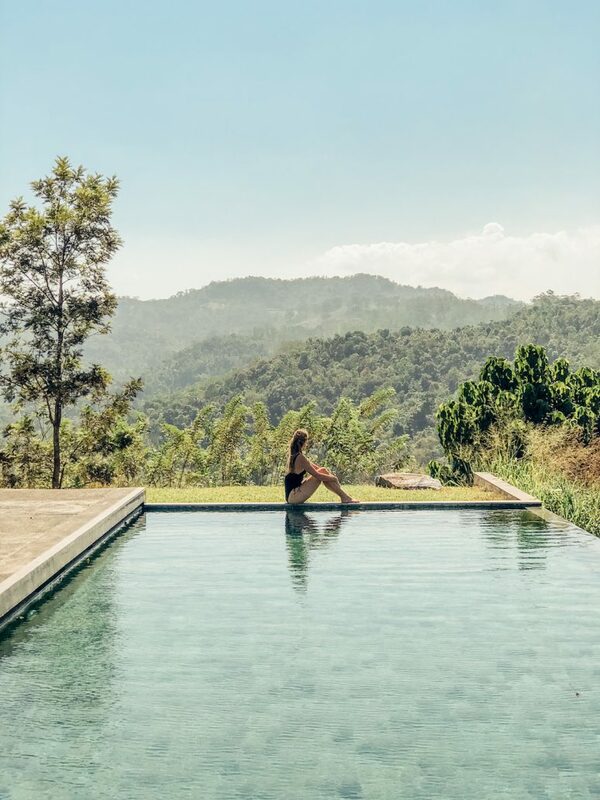 These include yoga twice a day, going on daily nature walks around the area, getting a treatment in the spa, or relaxing by the beautiful infinity pool. They recommend 5-7 days to fully embrace this break from technology, as we often are so attached to our devices that it can take that long to really start to feel the positive effects of going offline. All of the rooms are designed in a modern, minimalistic approach intended to remove unnecessary distractions. There are no TVs and you are encouraged to relax on the balcony with a good book in place of screen time. If you do stay at the Santani, make sure to book a Mountain View Chalet room, which offers gorgeous views of the surrounding areas from your balcony. Unfortunately, all of these rooms were sold out when I visited so I was in one of the Garden View Chalet rooms, which did not have the impressive view as the other rooms and had about a 10 minute walk to the main area, restaurant and pool. 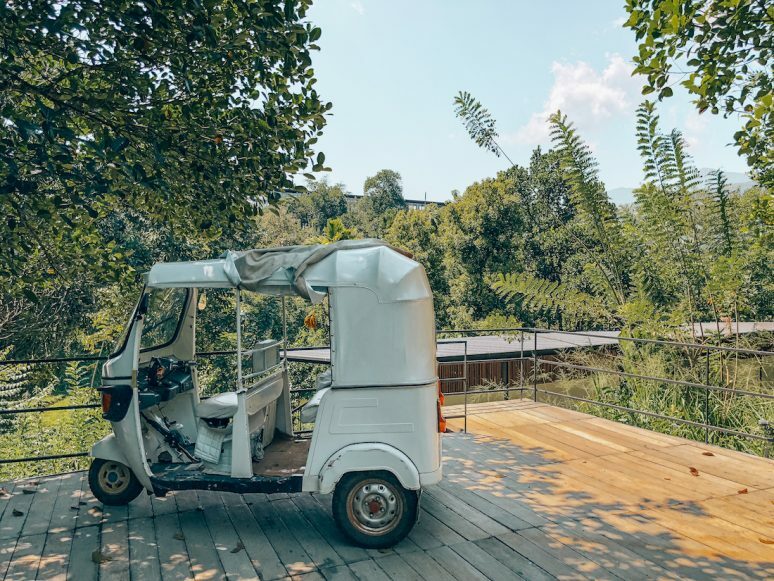 However, there is a Santani white tuk tuk you can always call to take you around if you do not want to do the short walk. 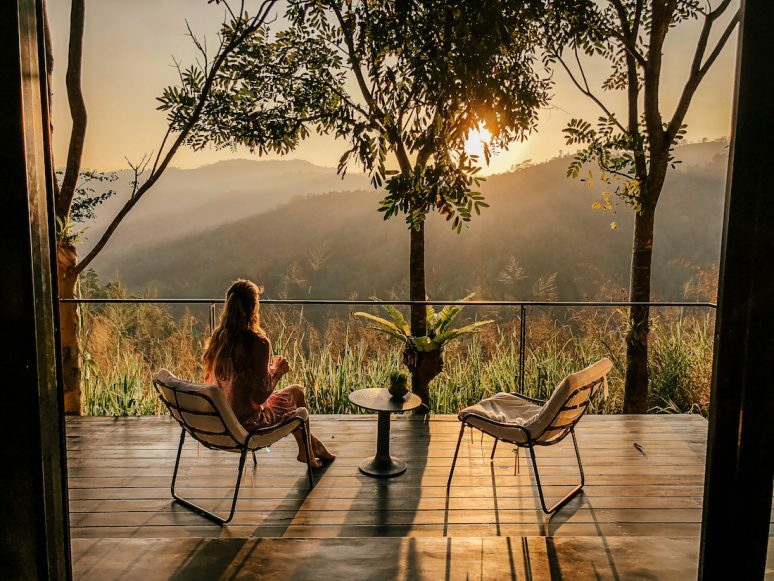 The rooms are all furnished with a focus on eco-friendly design, with up-cycled rubber wood lounge chairs and recycled teakwood safari chairs on the balcony. The open floor plan is taken quite literally, as the top of the Garden View rooms are wide open to the outdoors, which lets you fall asleep to the sounds outside (but it also got very, very cold so be sure to request an extra blanket or three before you turn in for the night!). The netting around the beds provides a comfortable, cozy feel, and I did not see too many mosquitos during my time there. Coffee and tea is provided in the room, so it’s best to relax with a warm cup while reading a good book and taking in the view. My favorite part of Santani was the delicious food! 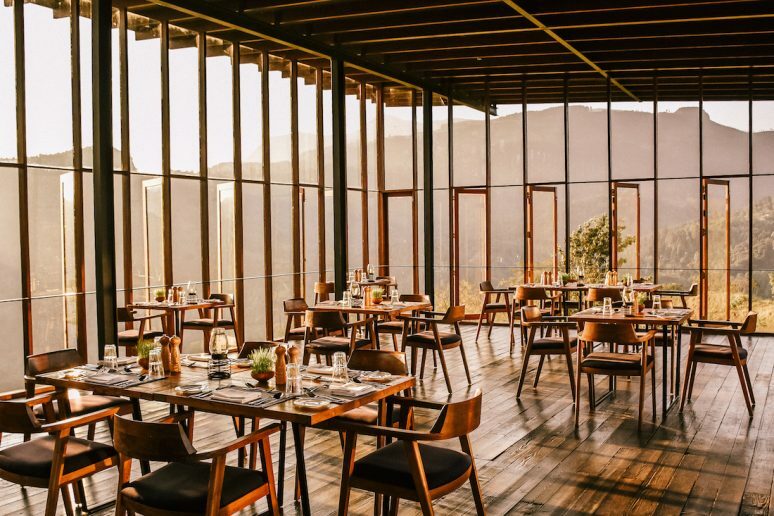 The restaurant is on-site and is absolutely beautiful, with 360 floor to ceiling windows to take in the surrounding views. 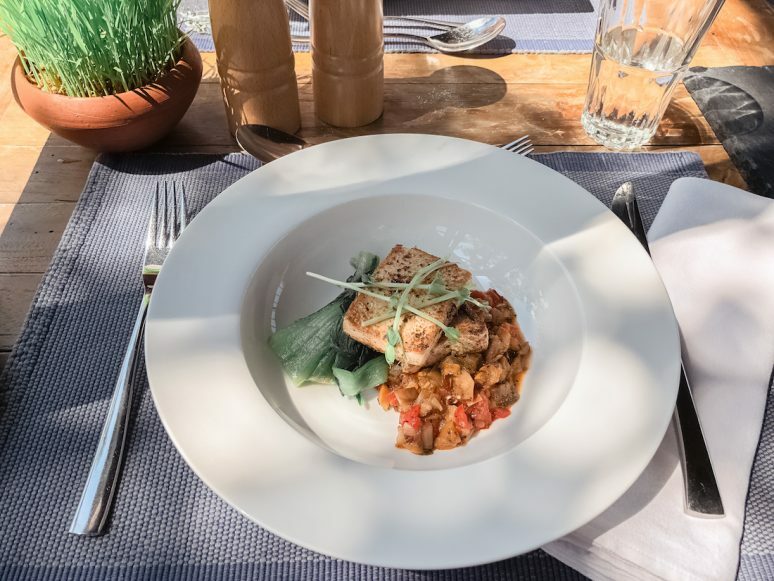 In place of a printed menu, each day the staff will talk to you about the meal options which you can customise to your liking from their expert chef. There are all kinds of healthy options to help with your detox, ranging from Ketogenic, Vegetarian, and Vegan, along with other choices to satisfy your palette. I can personally recommend the lamb tenderloin and the traditional Sri Lankan dinner, both of which were exceptional. Best of all, food is included with your stay so all you need to do is show up at dinner time and enjoy! 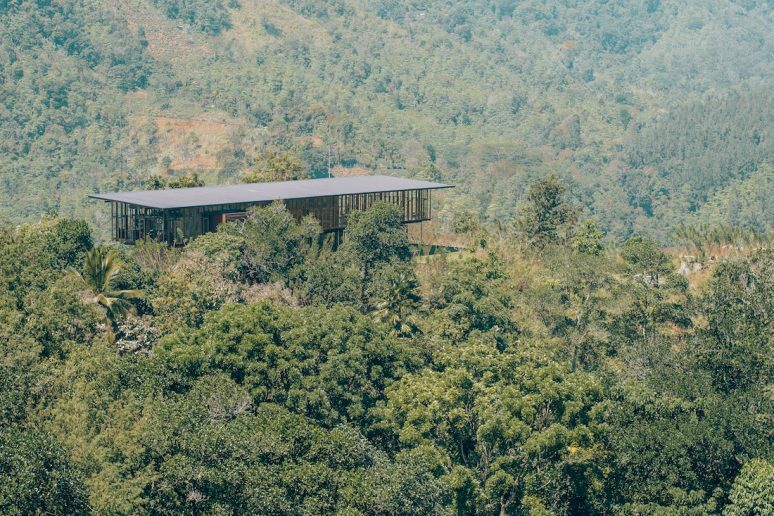 The Santani Wellness Resort provide a very unique experience. While it may not be for everyone, if you are looking to unplug and reset, the Santani is an excellent choice. I agree with the recommendation of a minimum of 5 days to really feel the positive effects of the digital detox. In our fast paced lives of 24 hour email, it is a good idea for all of us to unplug for a little while and enjoy nature, yoga, or simply a good book and a cup of tea. If you are looking for a place to relax and unwind in Kandy, then give Santani a look! 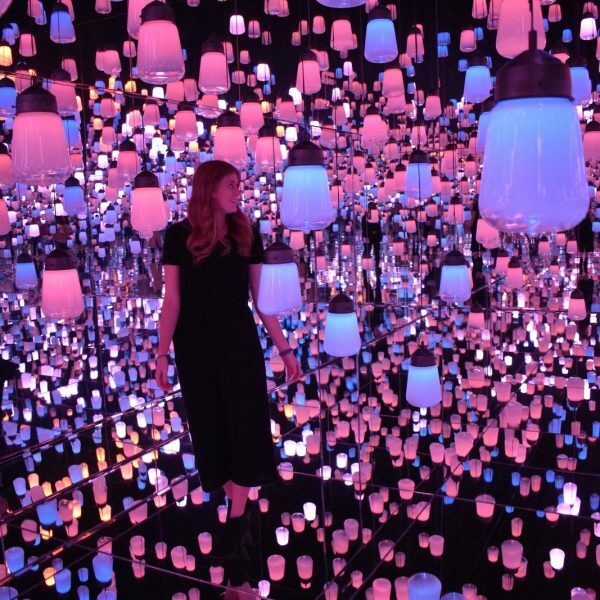 I hope that this article has inspired you take a digital detox and spend some time at Santani. If you have any questions about the resort or Sri Lanka please leave these in the comments below. I was welcomed as a guest by Santani Wellness Resort, as always all opinions are my own. 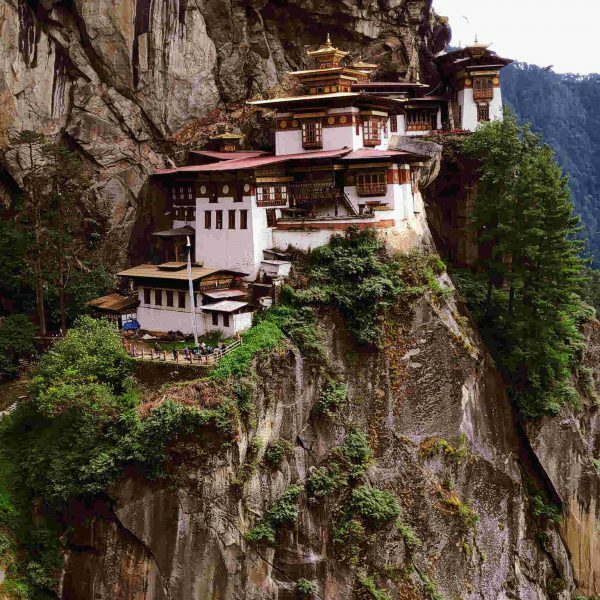 This website is a free resource and to keep it free for our readers we may use affiliate or paid links in our articles. Please see our Disclosures for more information.